August has almost gone and it is time to think about the new look for your computer desktop. 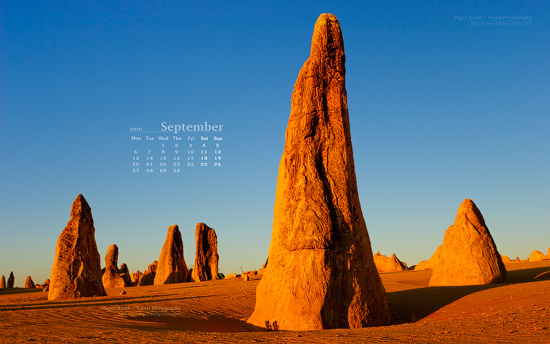 September 2010 free desktop wallpaper features The Pinnacles Desert from the Nambung National Park in Western Australia. Read more about this great location in one of my older place descriptions here: The Pinnacles Desert, Nambung National Park. This and older wallpapers with September calendar are available for download here: Free Desktop Wallpaper Calendars.